Feel welcomed and feel Inspired to dive into group discussions on Science of Mind Magazine monthly editions. Know as S.O.M. 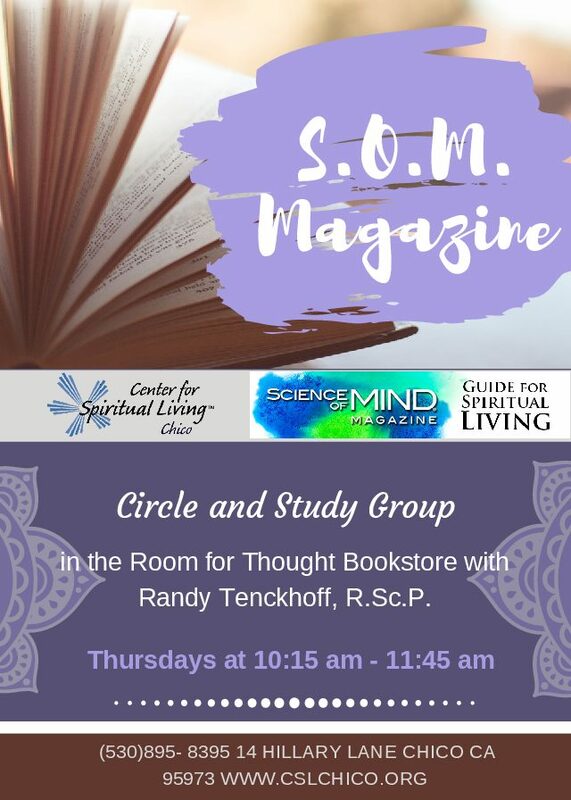 Magazine Circle and Study Group. We go deeper into possible meanings and interpretations of the magazines context and how we can use those teachings in our everyday lives. The magazine is an everyday guide for spiritual living. All are welcomed to join – new and current members of CSL Chico. We love meeting and seeing new faces! You can also purchase a copy of monthly magazines from our in-house bookstore. Host | Randy Tenckhoff, R.Sc.P.